So, you’ve said "I do" and danced the night away…now it’s time for the real adventure to begin. Some dream of long, lazy days on the beach, indulging in an All-Inclusive hotel and unwinding from the stress of wedding planning for their honeymoon – but how about those who want something different? Active honeymoons are becoming more and more popular, bringing love birds together to explore a new part of the world and create memories that will stay with them for years to come. From hiking up scenic mountains and embarking on an unforgettable safari, to cruising along floating markets and diving with exotic marine life, the world is your oyster when it comes to adding an active touch to your honeymoon of a lifetime. 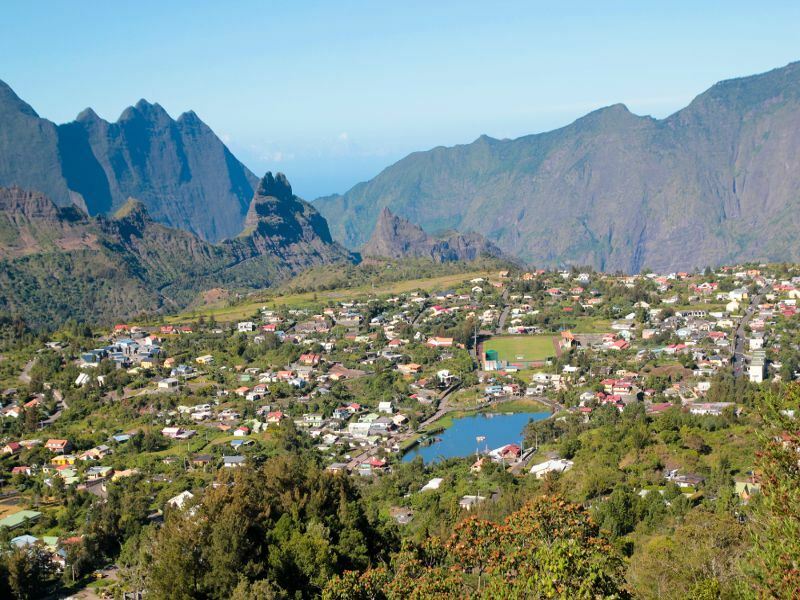 A volcanic island nestled within the azure waters of the Indian Ocean, Reunion Island’s beautiful blend of unspoilt landscapes and fun, outdoor recreation makes this the perfect spot for an active honeymoon. From towering mountain peaks and volcanos, to luscious canyons and natural pools, this island is the ultimate outdoor playground. Though this article is about active honeymoons, we’re sure you’ll want a bit of time relaxing during your loved-up holiday. Our Mauritius & Reunion Twin Centre has the best of both worlds, offering luxury accommodation at Lux Belle Mare and Lux ile de la Reunion for you to rest your head in between indulging in adventurous activities. 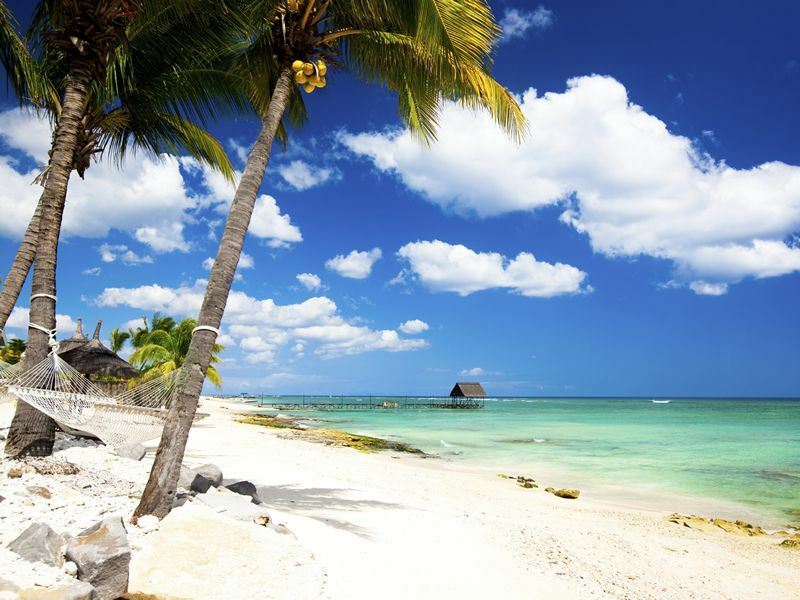 Mauritius’ calm waters and sugary sand beaches make for a quieter holiday, though you can keep up the activities with leisurely kayak excursions or snorkelling amidst vibrant reefs. We mean it when we say that Mauritius is one of the most romantic destinations in the world – imagine enjoying a private dinner on the beach, as the waves lap on the shore and stars sparkle above you. Bliss. If you’re looking for an active honeymoon you’re already looking for something quite one-of-a-kind – so why not turn it up a notch more? A holiday doesn’t have to include dizzying hikes and exhilarating water sports to be considered an active holiday, and let’s face it – what could be more exciting than running around Orlando’s best adrenalin-fuelled parks together? Those hoping for a big thrill should head to Universal Studios – think massive loop-the-loop rollercoasters and engrossing motion-base or 4D rides. Our favourite has to be the Incredible Hulk - an accelerator tube suddenly shoots you out and turns upside down…and that’s before the rollercoaster really begins! 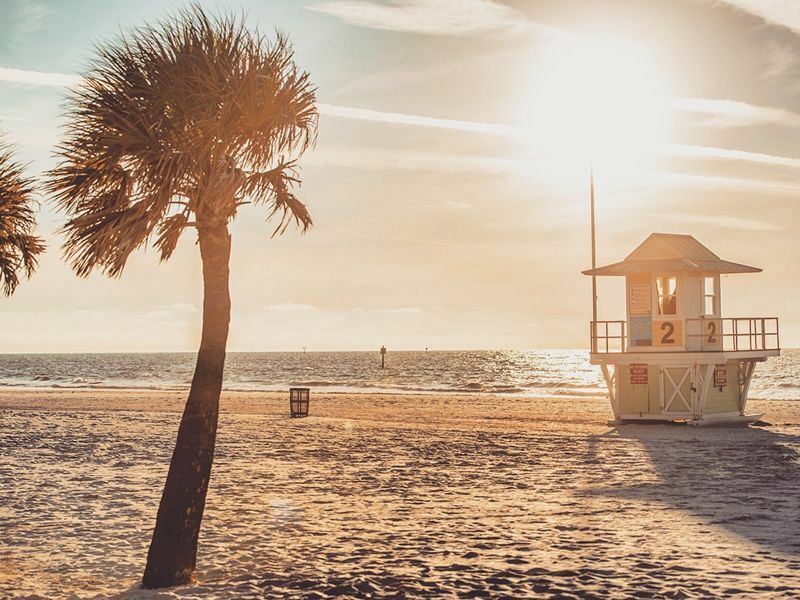 Should you need a bit of unwinding time after your epic trip to Orlando, St Pete Clearwater is a brilliant destination to pursue. Only a short hour and a half drive from Orlando, this beautiful seaside destination offers some of the best beaches in the world. Our Orlando & St Pete Beach Luxury Twin Centre blends the best of both worlds. Starting with seven nights exploring Orlando’s best parks, you’ll then journey to St Pete for three nights of soaking up the sun. You even have the chance to stay in St Pete Clearwater’s iconic hotel, Loews Don CeSar – otherwise known as the Pink Palace. As soon as you see it, you’ll know why. If you’re marrying with kids, there’s nothing stopping you from having an active family honeymoon. Bring the kids along and you can have an unforgettable adventure together. What could be more effortlessly romantic than journeying through the African wilderness together? An African safari is the ultimate active holiday, and Botswana’s luscious sceneries of sweeping rivers and thick flora paint the perfect picture for a honeymoon adventure. Dine under the stars, leisurely float past river banks abundant in wildlife in a traditional mokoro, soak in an outdoor bath and walk with Africa’s giants as you let Botswana’s unspoilt beauty enthral you. 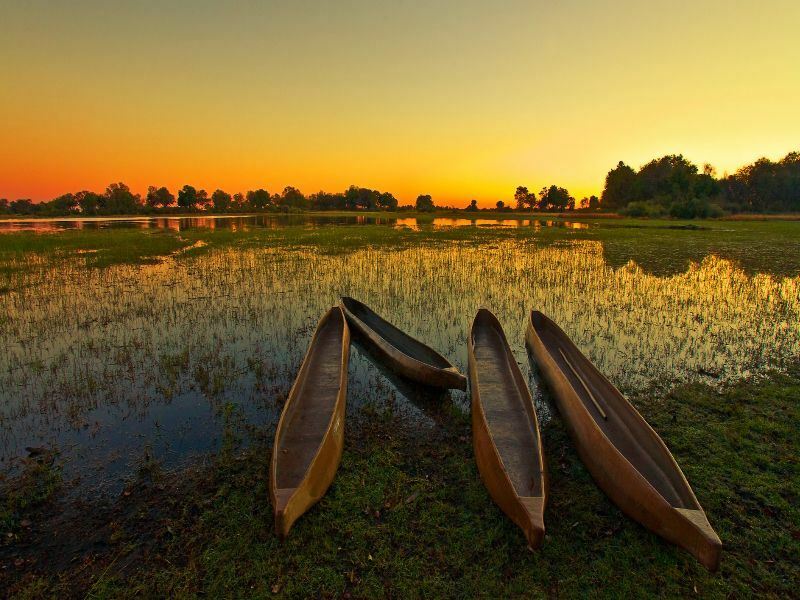 The best months for travelling to the idyllic Okavango Delta is May to August, when the water levels are at their highest and the wildlife most active, however those on a budget should travel in Green Season from November to March. The water might not be so prominent, but you’ll still find a plethora of animals. Stroll along Bali’s sugary sand beaches framed with verdant forest and you’ll find yourself enthralled by the azure water that laps onto the shore. Go on, dive in. We know you want an idyllic honeymoon spent underwater, swimming with tropical marine life until the sun goes down. 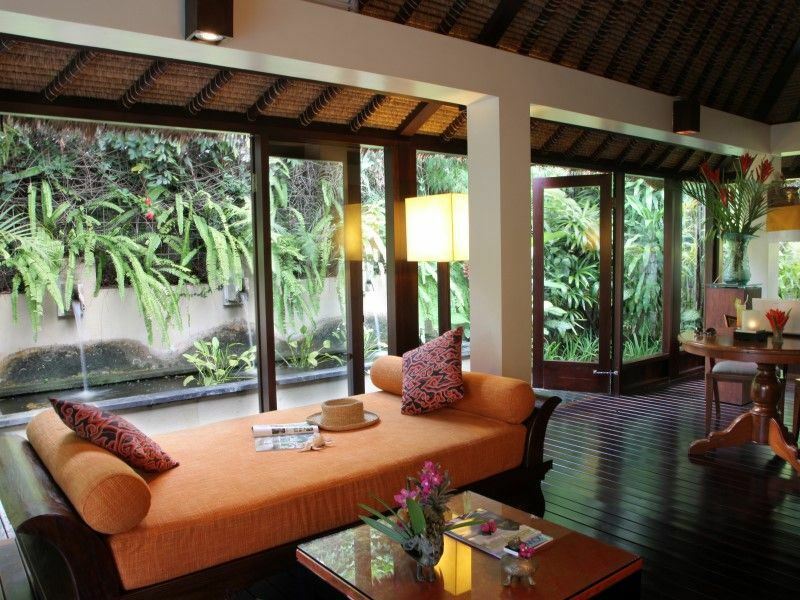 Start the adventure in Sanur, a charming beachside town in the southeast of Bali. Its topaz, man-made reefs are adorned with colourful junking fishing boats, but plunge underneath the surf and you’ll find a world full of vibrant fish and fascinating coral. With your hair tousled with sea salt and skin covered in sand, we’re sure you’ll have a smile on your face as you make your way back to the hotel. The Pavilions is our favourite choice for an ultra-romantic stay – it’s a tranquil boutique hotel offering utter seclusion and exclusivity. Nestled near the unspoilt beauty of Menjangan Island, Bali Barat National Park offers phenomenal diving sites. Spend your days swimming with Bali’s eclectic marine life, before wandering back to Menjangan Resort to dine under the stars at the Bali Tower Restaurant, which juts out into the luscious forest. There’s plenty more activities to enjoy here too, including horse riding, yachting, hiking and mountain biking – perfect for adventurous couples. Exploring the fascinating Dambulla Caves, hiking up to the Sigiriya Rock Fortress, wandering through the Royal Botanical Gardens, embarking on a 4x4 safari in Yala National Park alongside leopards, crocodiles, elephant and buffalo…a tour through the untouched beauty of Sri Lanka is a brilliant way to get active but also soak in some culture. 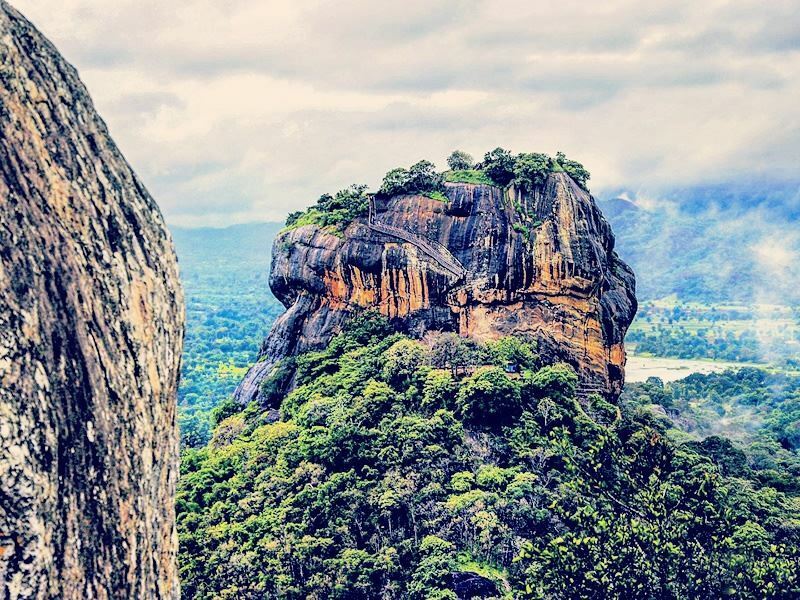 Our Essential Sri Lanka tour in particular is a top-notch way to make sure you don’t miss any of the island’s interesting outdoor recreation, merging enticing temples, rainforest exploration and incredible caving together for an activity-fuelled holiday to remember. Fancy adding a bit of pizzazz to your honeymoon? Choose the 5* option for your chance to stay in fancy hotels and enjoy exclusive transfers. Go on, you deserve it. Arguably one of Asia’s most captivating destinations, the only way to really delve into Vietnam’s rich culture is to get on your feet and explore. Our Essential Vietnam escorted tour is a fantastic way to make sure your active honeymoon is chock full of exciting memories, or you could check out Taggie’s Vietnam honeymoon story for extra inspiration. 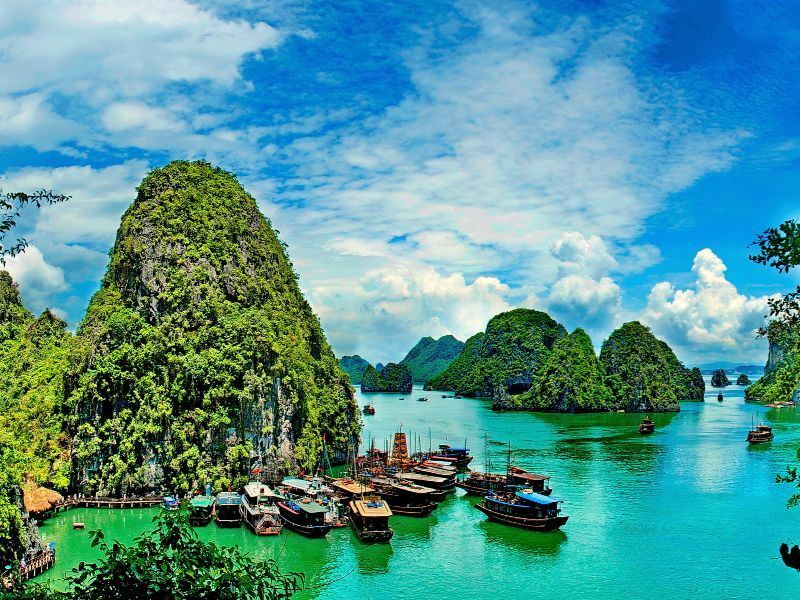 Adventure, culture, good food, luxurious accommodation…Vietnam is certainly a popular hotspot for an active honeymoon.